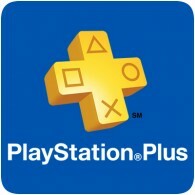 Posts tagged "Instant Game Collection"
The full line-up for November’s PlayStation Plus has been revealed. Earlier this month, the first two games were leaked by Sony, but today the full line-up has been revealed. The games will be available to download from the PlayStation Store from 6th November 2018. October’s PlayStation Plus games have just been released, but someone at Sony has accidently revealed the two PS4 the games we can expect in November via the PS4’s portal. The two PS4 games you can expect in November are Bulletstorm Full Clip Edition and Yakuza Kiwami, both of which were released in 2017. The PlayStation Plus line-up for September 2018 has been released, and includes some great games for subscribers. For PS4 owners, you can look forward to Destiny 2 (Day One Edition) and God of War III: Remastered. The line-up also includes two PS3 and PS Vita games, all of which will be available from 4th September 2018. The August 2018 line-up of PlayStation Plus games have been revealed, and will be available on the PlayStation Store from 7th August 2018. For the PS4, subscribers can look forward to Mafia III and Dead by Daylight. The August line-up also includes two bonus games – one for the PS VR and one for PlayLink.